Al's Shaving Products are the result of extensive research carried out by professionals to suit the needs of wet shavers of all skill levels. The reputation of our products has grown through word of mouth. These products have been designed by Alraz with the same quality of The Bomb. We have designed a complete line of products to satisfy our clientele. 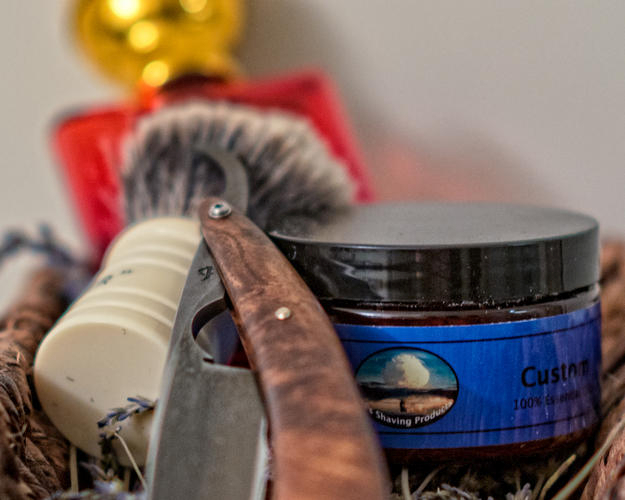 Al’s Shaving cream produces a great volume of thick and slick lather to help our customers get the closest possible shave.In addition to our Shaving Cream, we offer Pre-Shave and Post-Shave solutions in matching scents to our customers. We use Aloe vera in our Shaving Creams, Shaving Soaps and Aftershave Balms. Our three step routine is designed to improve the comfort of your shaves. NEWS: I am thrilled to announce that Al’s Shaving Products are now available in Australia through Maggard Razors. Would you like to carry Al's Shaving Products in your store, please Contact Us. We invite you to browse through our store and shop with confidence. You may create an account with us if you like, or shop as a guest. Creating an account with us will save you time when you reorder. Either way, your shopping cart will be active until you leave the store. We welcome questions, comments, requests, etc. You can reach us using our Contact Us form. Auguri is our interpretation of the gourmand oriental scent.